Copper prices have rocketed above even the targets used in the copper miners' presentations. Freeport-McMoRan is highly cash flow positive at copper prices around $2.50 pound. The stock offers interesting value even after the huge surge in the stock price. The recent copper rally apparently caught most investors and analysts off guard. Analysts are either scrambling to upgrade the stock or discredit the rally. The long misunderstood story with Freeport-McMoRan (NYSE:FCX) was that the copper miner needed higher prices in order to clear the debt issues. In reality, the current copper prices might be enough for the company to thrive. The question now is when to lock in gains. Read the full article on Seeking Alpha. Allergan recently missed Q3 estimates that should mostly be ignored. The growth pharma has a huge capital return plan that overrides current earnings weakness. The net payout yield will push into one of the top yields in the current market. Allergan (NYSE:AGN) hit our radar screen due to the combination of two key signals: plunging stock price and massive capital return plans. The market typically runs away from a stock at the wrong time and these contrary positions can signal the market has the situation wrong. The stock closed last week around multi-year lows of $195. With politicians increasingly attacking drug pricing and the costs in the healthcare system, are the capital return plans enough to consider buying the massive dips in Allergan from a high near $340 back in 2015. Read the full article on Seeking Alpha. Weatherford reported disappointing Q3 results. The company has left the stock for dead while the market is starting to rebound. The stock remains a speculative play in the sector for a catch-up trade. As other industry players trade near multi-year highs, Weatherford International (NYSE:WFT) is still trading at the lows. The recent quarterly results weren't the best, but the market appears stressed out for no reason. Read the full article on Seeking Alpha. After another strong earnings report, Alphabet (GOOGL) is up $12 today to $829. The stock appears on a path to $1,000. RBC Capital Markets tech analyst Mark Mahaney places a $1,025 target on the stock. Alphabet trades at a meager 20 forward P/E multiple making one wonder if the inability to obtain a higher multiple is related to the market cap of nearly $560 billion or the potential problems in Europe. Either way, it appears the stock is on a path to $1,000. Acacia Comm (ACIA) is down a substantial 12% to below $80 for the first time in months. This move comes ironically after the company rushed out a secondary offering at $100 to allow insiders to dump shares. Per Benzinga, the stock is down as top customers ZTE and ADVA Optical Networking issued soft guidance. ZTE reportedly accounts for 40% of revenues and the weak revenue numbers isn't a good sign for Acacia. Twitter reported that Q3 results beat estimates, but the market focused on a lack of revenue guidance for Q4. The social-media giant generated further growth in key user metrics that is far more important than revenues at this point. The stock remains one to own around the recent lows. After an initial positive reaction to Q3 results, Twitter (NYSE:TWTR) is trading mostly flat. The market appears more focused on the lack of revenue guidance for Q4 over the key re-accelerating user growth. Read the full article on Seeking Alpha. Freeport-McMoRan missed Q3 analyst estimates. The copper miner made huge strides in proving the cash flow thesis. The stock trades at an attractive valuation now that cash flows are set to pay for debt reduction. Freeport-McMoRan (NYSE:FCX) spent the last year cutting capital expenses and reducing costs to improve cash flows. The biggest story in the next few quarters is to see whether the copper miner makes the necessary progress towards those solid cash flows and current copper prices. Read the full article on Seeking Alpha. 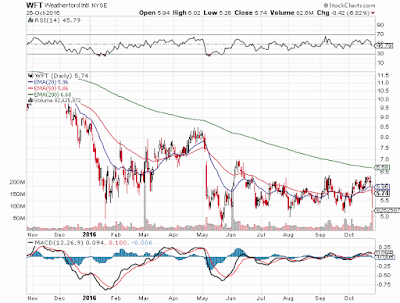 Weatherford International (WFT) reported some horrible Q3 numbers, but the stock rebounded solidly on the news. The daily low of $5.26 test the lows for the last few months to only see the stock rebound near the highs of the day. The interesting part of the story is that the industry sees the market bottoming out. Maybe even more important, a competitor like Halliburton (HAL) is shifting back towards focusing on profits over market share. This should help reduce some pressure on the bottom line at Weatherford. AT&T reported Q3 numbers that fail to prove out the benefits of the DirecTV deal. The bundling of services has failed to add the most important subscribers. The large debt load makes the synergies in the Time Warner deal a must and the outcome of the DirecTV integration highly questions a positive outcome. In the midst of agreeing to buy Time Warner (NYSE:TWX), AT&T (NYSE:T) rushed out Q3 earnings a few days early. 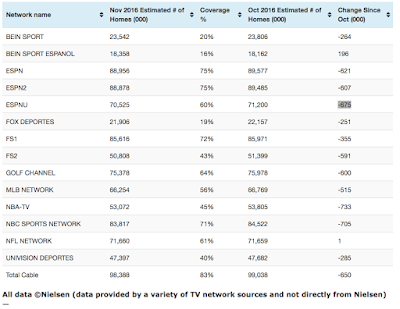 The biggest issue is that the synergy benefits from DirecTV aren't showing up in the results. Read the full article at Seeking Alpha. According to a survey conducted by Bernstein (via Benzinga), most buy-side analysts expect the deal between AT&T (T) and Time Warner (TWX) to eventually obtain approval. An amazing 84% of the participants in the survey expect AT&T to close the deal, yet Time Warner trades far below the $107.50 offer price. United Airlines continues to post massive profits in relation to the market cap. Even at a slower pace, the airline is still repurchasing a large amount of outstanding shares. The recent rally only brings the stock up to more normal levels from which to launch another rally. Amazingly, the recent rally in United Airlines (NYSE:UAL) only brings the stock back up to levels from late 2015. In general, the airlines is seen in a better light now after strong results and new CEO Oscar Munoz gains momentum. Read a full article on Seeking Alpha. Disclosure: Long UAL. Please review the disclaimer page for more details. Twitter (TWTR) surged 7% on what appears (via Barron's) was trader chatter about a rumor in a likely move to run the stock up. While it wouldn't surprise me that SoftBank would have interest in buying Twitter, the firm recently closed on a sizable $32 billion deal for ARM Holdings. 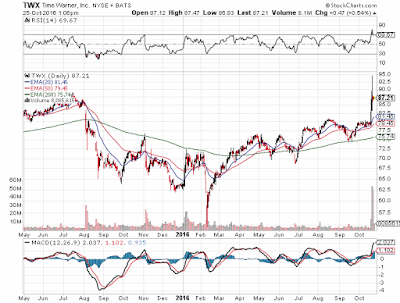 As reported on Friday, AT&T (T) agreed to purchase Time Warner (TWX) for $107.50 per share. The deal brings together a distribution leader in the form of the wireless network operated by AT&T and the content owned by Time Warner. The deal could be a big victory for the Net Payout Yields model on Covestor where Time Warner has been a long-term holding. The company has long repurchased a large portion of the outstanding stock while paying a decent dividend that recently yielded nearly 2%. The big question is where the stock will trade on Monday with 50% of the value based on whether AT&T breaks the downside collar. As well, the market will likely fear whether the regulators will approve this merger of mega-media giants. Ultimately, a decent price on Monday provides an opportune time to exit a long-term position at the top. Here is hoping to a big pop at the start of trading. Below are links to more detailed reports on my opinions on the merger. CSX beat Q3 EPS estimates while missing revenues yet again. The company remains on pace for negative trends despite help from lower share counts. The recent rally in the stock already prices in any potential upside from higher earnings in 2017. 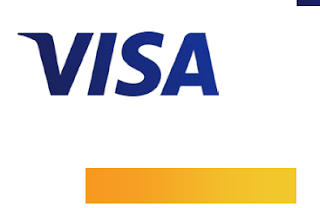 After the close, CSX (NYSE:CSX)reported the traditional earnings beat and revenue miss. The railroad operator has a history of strong operations even despite the multi-year headwinds in the macroeconomic and specifically the energy sector. Read the full article on Seeking Alpha. Yum Brands recently announced a huge increase to the capital return plan. The details of the stock repurchase plan are highly misleading considering the purchases of stock prior to the split of the Yum China business. Once the split takes place, yield investors can better evaluate the deal offered to investors. In the midst of plans to split the China business into a separate company, Yum Brands (NYSE:YUM) plans massive capital returns to shareholders. Unlike other typical large-scale capital return plans, the stock actually trades near all-time highs. Read the full article on Seeking Alpha. Bank of the Ozarks reported strong Q3 results. The bank completed two more acquisitions during the quarter but the market is focused on the cycle lows in asset quality metrics. The stock is both cheap and expensive depending on the valuation metric making the trading action around $40 crucial for the path forward. Before the open, Bank of the Ozarks (NASDAQ:OZRK) reported strong quarterly results. Lots of critics question the strategy of the regional bank, but one can't argue with the results. Read the full article on Seeking Alpha. Twilio proposed a secondary offering of $400 million led primarily by selling shareholders. The valuation of the company is now $6 billion based on the fully diluted share count while revenue expectations are only $255 million. Investors should not buy from insiders dumping shares at inflated valuations. After the close on a Friday, Twilio (NYSE:TWLO) snuck out a proposed secondary despite only completing an IPO about four months ago. The communications software provider has seen the stock rocket since going public. Read the full article on Seeking Alpha. Twitter is down 20% as bidders disappear from making premium bids for the social media service. The company has plenty of catalysts with live-streaming deals and the emergence of generous video ad revenue sharing with content creators. The dip below $20 provide opportunity as either the video catalyst will launch Twitter back into growth mode or the company will accept likely bids in the mid-$20 range. Twitter (NYSE:TWTR) is in freefall today as the market comes to the realization that a deal isn't imminent. Despite constant media rumors, the company never really signaled that the social media site was for sale and definitely not at prices anybody would pay. Read the full article on Seeking Alpha. Disclosure: Long TWTR. Please see the disclaimer page for more details. Stratasys recently previewed its new Robotic Composite 3D Demonstrator at IMTS 2016. This game-changing additive manufacturing system combines Stratasys' advanced extrusion technologies with Siemens’ motion control hardware and PLM software. Alphabet was downgraded by Wedbush suggesting the companies search business faces an inflection point. The stock trades at a relative value with plenty of opportunities for financial discipline to boost profits. The suggestion is to let the stock tell you when the inflection point occurs, especially at these breakout levels above $800. Alphabet (NASDAQ:GOOG)(NASDAQ:GOOGL) is trading sideways near a new high today after an analyst downgrade. The decision is odd considering the stock is near a breakout and potential run towards $900 and possibly even $1,000. Read the full article on Seeking Alpha. Pfizer is down sharply over the last couple of months culminating with a decision to not split into two companies. The company has a stock buyback plan, but chooses to use larger amounts of cash on making acquisitions such as paying $14 billion for Medivation. Pfizer isn't a horrible stock to own, but the signals don't suggest outperformance for the next year. At first glance, the multi-month drop in Pfizer (NYSE:PFE) appears to offer an opportunity. After all, the dividend is back to a respectable 3.5%. Read the full article on Seeking Alpha. After slightly weak guidance following the Q2 earnings report, Zoe's Kitchen (ZOES) has absolutely collapsed. The stock is now down from $38 to the $24 range providing a double bottom opportunity. Reports of interests in bidding for Twitter sent the stock to multi-month highs. The difference between what bidders will pay and where Twitter values the social media site suggests a deal is highly unlikely. Investors wrongly confuse exploring options with accepting any imminent bid. The good numbers from week 2 in the NFL support buying Twitter on any dips if the buyout surge deflates this week. Twitter (NYSE:TWTR) shot up 21% on Friday to a recent high of $22.62 on news that the social media service was moving closer to being sold. The CNBCreport suggested that Alphabet (NASDAQ:GOOG)(NASDAQ:GOOGL) and Salesforce (NYSE:CRM) were seriously looking at making bids. Read the full article at Seeking Alpha. The success of the last decade is leading to increased competition. Increasingly, Adidas and Under Armour are making strides in endorsement deals by ramping up spending. Nike is an expensive stock for one facing a more competitive environment. In the business world, the typical price of success is increased competition. A company that has seen huge stock gains or generates large profits can expect a flood of new competition. Read the full article on Seeking Alpha. Twitter (TWTR) is soaring 20% today on news today that the company is in informal discussions regarding a sale of the business. According to the news, Alphabet (GOOG) and salesforce.com (CRM) are looking at a bid for the social media giant. The big question is whether a Twitter shareholder even wants a deal. After the gains the stock has a market value of $15.7 billion. A decent value for the current revenue base, but the potential remains massive. What if the NFL streaming deal and the host of shows lining up for the site starts expanding the user base. Facebook (FB) now has a market value of over $370 billion. Maybe it isn't possible to ever reach that level, but one could argue that these streaming deals with the likes of 120 Sports and Cheddar provide a compelling case for users to return to the service. If Twitter can really show that 800 million people view the site, than Twitter actually has half the user base of Facebook and no where near half the market valuation. Microsoft announced new capital return plans including an 8% dividend hike. The new stock buyback plan has limited ability to impact the stock considering the surging stock over the last few years. The net payout yield is average for the current market. After the close, Microsoft (NASDAQ:MSFT) released that the company will add to the existing capital return program. The total of the share repurchase program is attention grabbing, but investors need to consider whether the amount is actual impactful to the stock. Read the full article on Seeking Alpha. 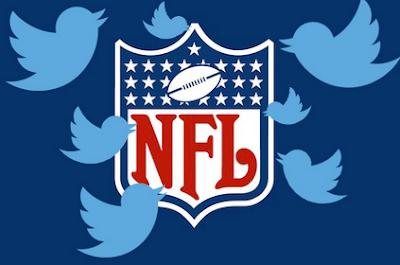 Twitter (TWTR) launches TV streaming apps just in time to kickoff the NFL streams starting on Thursday. The apps will be available on Apple TV, Amazon Fire and Xbox One making the streams available to cord cutters with a TV. The big unknown is how many people will tune into these non-exclusive deals. The stock trades at a reasonable valuation with tons of upside if these streaming deals like the NFL start driving users. Under Armour split the stock into a new class this year in order to allow the CEO to unload shares and maintain voting power. The stock has traded weak over the last year as costs continue to pressure results. A strong case can be made for value in the Class C shares. Back in 2015, Under Armour (NYSE:UA) decided to split the stock into another class of shares. The deal was signaled as a stock dividend, but the real intent of the move was to allow the CEO an ability to unload shares without losing voting power. Read the full article on Seeking Alpha. No positions mentioned. Please read the disclaimer page for more details. Freeport-McMoRan agrees to dump the Deepwater Gulf of Mexico assets once coveted. The large copper miner is again dumping assets at the lows in the commodity cycle. 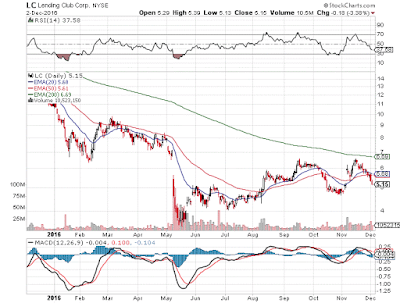 The company is now positioned for any upside in copper prices. After the close, Freeport-McMoRan (NYSE:FCX)announced the move to unload oil and gas properties to Anadarko Petroleum (NYSE:APC). The move is consistent with plans announced by the copper miner to unload assets in a goal to reduce debt levels. Read the full article on Seeking Alpha. Potash Corp. and Agrium officially announced a merger agreement. The merger of equals will provide tons of benefits to shareholders including a dominant market position in crop inputs and $500 million in synergies. An investment in the merger deal assumes regulators will approve the top two players in the fertilizer segment forming a dominant industry player. In a time period when numerous large scale mergers have been blocked by government regulators, the decision of Potash Corp. (NYSE:POT) and Agrium (NYSE:AGU) to go forward with a merger is interesting. Even more interesting is that a large amount of the merger presentation appeared to highlight the very benefit as having the largest scale by far in the crop input segment. Read the full article on Seeking Alpha. Citigroup passes the 2016 stress test with flying colors. The bank stock took a huge hit due to Brexit. The bank is perfectly aligned to announce a big capital return increase as the stock hits recent lows. Despite strong CCAR results, Citigroup (NYSE:C) ended down over 9% and is trading near recent lows around $40 due to Brexit. In essence, the bank is doing what it can but external events continue hammering the stock whether justified or not. Read the full article on Seeking Alpha. Potash trades around multi-year lows as the fertilizer markets fail to meet expectations. Belarus and Russia signal a possible cooperation that might provide some relieve to the potash market. The stock has limited upside as the company fails to produce enough earnings to cover the dividend over the next couple of years. After nearly five years of declining stock prices, Potash Corp. (NYSE:POT) is finally showing some signs of stability. The foundations of any rally in the stock remain shaky as the long-term supply issues aren't resolved by production cuts. Read the full article on Seeking Alpha. Jamie Baker, JPMorgan Chase senior airline analyst, discusses how the airlines are fundamentally different now. The market continues of focus on every hurdle while the legacy stocks are extremely cheap. One can almost throw a dart at Delta Air Lines (DAL), American Airlines Group (AAL), and United Airlines (UAL) and win at these levels. Watch him take down the CNBC host on baggage fees. Signs exist that Twitter faces brand advertiser fatigue. Other signs exist that brands are taking a pause until the 2H of the year when the social media company has better video ad products. User growth remains the key and competition from other media products won't ultimately steal advertiser dollars if Twitter continues to grow users. Twitter (NYSE:TWTR) hit new lows this week as analysts downgraded the stock and suggested that brand advertisers were facing fatigue with the platform. While the competition from the likes of Instagram, part of Facebook (NASDAQ:FB), and SnapChat (Private:CHAT) are a long-term concern, the advertisers will always follow user traffic. Read the full article on Seeking Alpha. Disclosure: Long TWTR. Please read the disclaimer page for more details. Do you agree with this bullish view on Twitter (TWTR) shared by Brian Wieser of Pivotal Research? Brian doesn't actually seem like a raging bull despite the stock hitting new 52-week lows. PhaseRx completed a recent IPO backed by strong venture funds to limited fanfare. Investors can buy the early-stage biotech at prices equal to or below where the insiders bought in the IPO. The company offers interesting therapy candidates targeted at unmet needs with urea cycle disorders. The stock is a high-risk biotech only appropriate for investors willing to assume the risk that these therapies never reach the market. The recent slump in the IPO market and lack of attention to the sector typically provides opportunity when new stocks hit the market. The market has a history of over- and under-investing in different markets, from private companies to IPOs. Read the full article on Seeking Alpha. Disclosure: No positions mentioned. Please read the disclaimer page for more details.